All images are supplied watermark free, edited to beautifully enhance each image and are available for you to print and share for your own personal use. For prime weekend summer dates, I only offer the whole day Option Two package. I only undertake one wedding a week throughout the year, but I can sometimes offer discounts for Monday-Thursday weddings for some out of season dates. * Travel is included within a 40 mile radius of Lewes, E Sussex, Beyond that travel costs will be quoted separately. For London and other destination weddings travel /overnight accomodation will be quoted in addition. A pre-shoot is a great way of helping you feel relaxed and at ease in front of the camera, and a lovely way of us getting to know each other prior to your big day. Usually 40+ images will be supplied to you as high res files afterwards. I also offer the option for having a second photographer for larger weddings, at an additional fee, quoted for individual requirements. 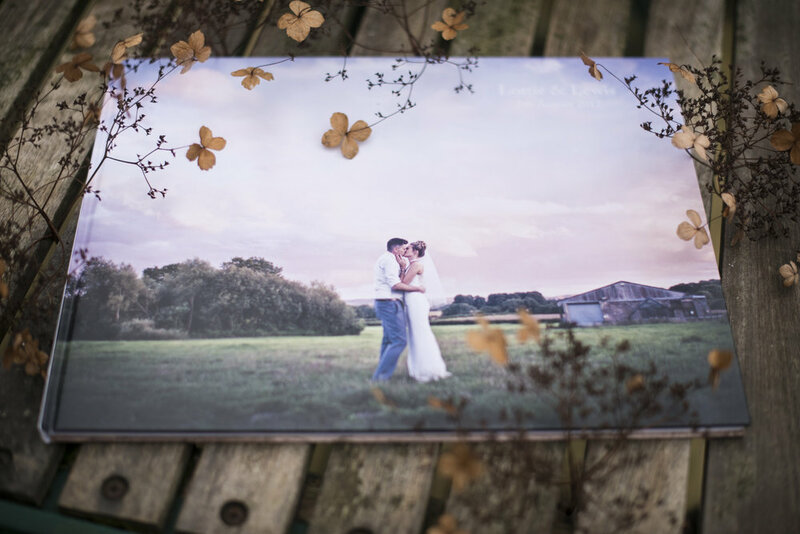 A selection of stunning wedding books are available to order... I would be happy to show you samples and provide you with a personalised quote (with no hard sell!). A deposit of 25% of the fee is required to book a date, with the balance payable 2 weeks before your day. Payments by bank transfer or PayPal. Please get in touch with details of your wedding, if you would like me to send you more details with my online wedding brochure.